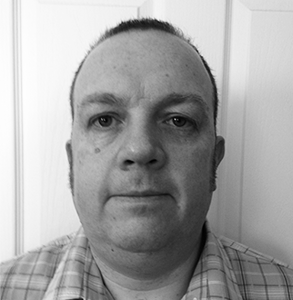 Duncan Hill is currently the Specialist Pharmacist in Substance Misuse (SPiSM) in NHS Lanarkshire. He started working in community pharmacy after qualifying from RGIT, Aberdeen, and became an addictions pharmacist in 2005 in NHSGGC then moving to NHS Lanarkshire in 2009. Practicing since 2007, Duncan is a qualified Pharmacist Independent Prescriber, initially having a clinic with the Homeless Addictions Team in NHSGGC. He now has 3 clinics within NHS Lanarkshire and leads a team of 8 pharmacist prescribers. Duncan works as part of an integrated multidisciplinary substance misuse prescribing service that support the 11 addiction teams in NHS Lanarkshire. Duncan was previously an Honorary Senior Research Fellow at Glasgow Caledonia University and is now an Honorary Lecturer at Strathclyde University. In this role, he has been involved with the Pharmacist Independent Prescriber course as well as undergraduate teaching and projects. Additionally, he is a member of the Scottish Specialist Pharmacists in Substance Misuse group, the Opioid Painkiller Dependence Alliance core group, the steering groups of the National Substance Misuse Non-Medical Prescribers Forum and the Drugs Research Network Scotland. Duncan has published a number of articles on various addiction related topics in peer reviewed journals.